The Hotel De France in Vienna is located on the Ringstrasse in the center of the city. This hotel is within walking distance of the State Opera, the Spanish Riding School and the area of the city dedicated to the business and banking sectors. The Hotel De France Vienna is located approximately 14 miles away from the Vienna International Airport. 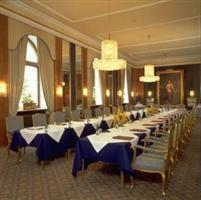 The Hotel De France Vienna has approximately 200 rooms available to guests. The rooms are provided with air-conditioning, minibars, satellite television service with pay-per-view movies, a work desk and an in-room safe. The rooms are universally provided with Internet access. The Hotel De France Vienna contains amenities which include express check-in and check-out and evening turndown services. Guests who arrive with children may take advantage of the babysitting services. There is a restaurant onsite and a bar. The hotel has medical facilities available for guests who require them. A concierge service can help guests to get around the city. There are conference rooms available for business travelers.